Dan Norris is a passionate entrepreneur with an obsession for content marketing. His content has been described by Joe Pulizzi, the content marketing godfather himself, as “must read”. 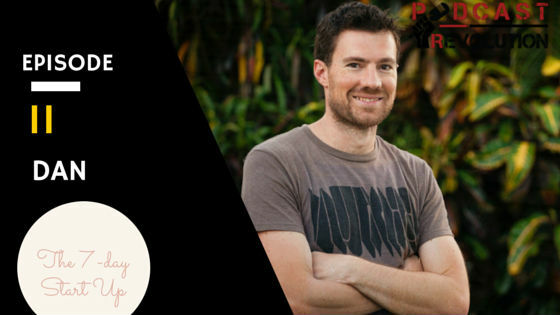 Dan was voted Australia’s top small business blogger by Australia’s largest business magazine, Smarter Business Ideas in 2013. Dan is the co-founder in WP Curve, one of the world’s fastest growing WordPress support companies. WP Curve provides unlimited small WordPress fixes 24 / 7 for $79 per month. Having all the time in the world. Dan’s “Secret” to having a balanced life. The 7-Day Start Up Success. Why is Podcasting “HOT” now. Systems and Process: Key to going from havoc to scale. Content Machine – Dan’s third book. Books: Business cards on steroids. Building something physical is realistic. A day with Dan Norris. Its not something you arrive at – its an ongoing thing. Talk to and about your audience. Metric systems don’t matter anymore. Podcasts make you feel important.